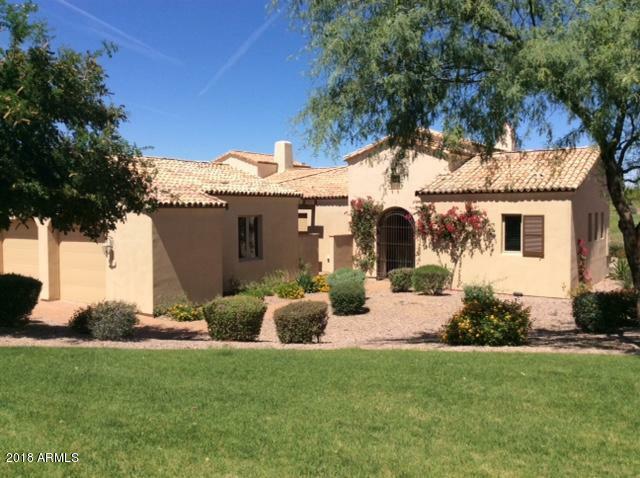 WONDERFUL WATERFRONT GOLF COURSE VILLA AT SUPERSTITION MOUNTAIN GOLF & COUNTRY CLUB. Villa is overlooking the 18th fairway of the Prospector Golf Course. Three bedroom, (including a separate Casita your guests will love), three bath with separate office/den area. Great room, office/den and master suite overlook the lake and the fairway. Outdoor patio is a great place to view the amazing sunsets and city light views. Gourmet kitchen, granite counter tops, and numerous upgrades that can be viewed in the Documents section. Furnishings have been provided by Distinctive Interiors & Designs. A furniture price list can be found in the Documents section. Furnishings are available under a separate bill of sale at COE. Move in ready condition.